Imagine doing something special with your family and friends on a unique day, 10th day of the 10th month of 2010, hence 10/10/10. It is also unique because this date will never happen again for another 100 years (10X10). I don’t know about you but I don’t think I will be around to witness it again. So why don’t we all come together and do something special on a unique day! Have fun, be healthy and go crazy! Experience the carnival environment. Just enjoy what life has to offer with thousands of people who will be there. I am personally looking forward to the performances by the children in a street basking style. Let’s be ALIVE! It is going to be a KODAK moment for YOU. 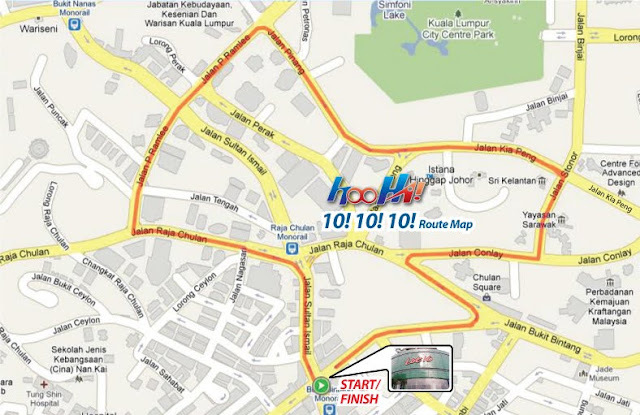 3700 people starting at Lot 10 Jalan Bukit Bintang walking or running (we really don’t care as long as you are having fun) 5.5km (=10) along Jalan Sultan Ismail, Jalan Raja Chulan, KLCC and back. Imagine being together holding hands with your spouse, children, friends in the morning, being healthy, feeling the energy, bonding, meeting and making new friends. What a way to spend your valuable time on a unique day. Dont missed out on this very special event on very unique day. Spaces are limited. Register Now! 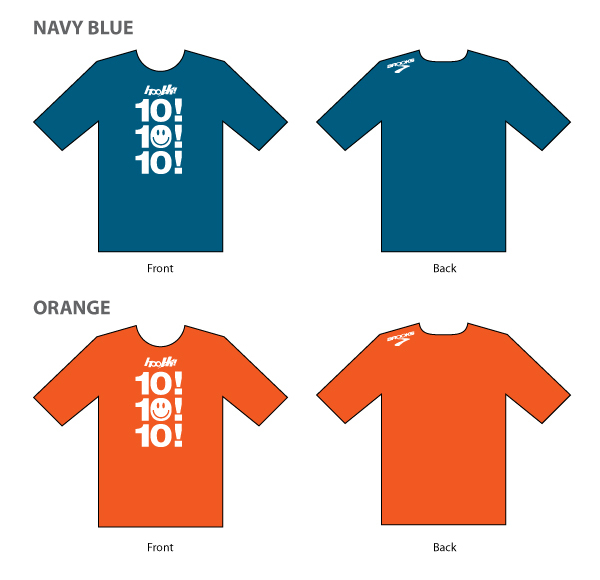 i choose the Orange color! What's your choice? On 10.10.10 its the day you can run freely on Jalan Sultan Ismail, Jalan Raja Chulan, Jalan P.Ramli, Jalan Pinang, Jalan Kia Peng and back to Bukit Bintang! The road is belong to runners. 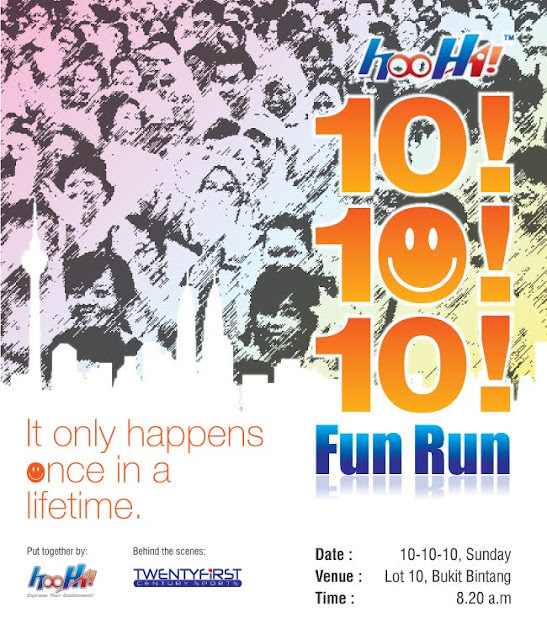 Let's run together for a memorable day in heart of the KL city central.